Politics and Economics in the Russian Far East addresses the key issue of what the Russian Far East and its Northeast Asian neighbours can do to further closen economic and co-operative relationships. The question of to what extent the state should intervene to stimulate economic growth in the Russian Far East is covered, as are the options for a more laissez-faire approach. The possibilities for economic co-operation with the more successful market economies of the region are discussed as are the problems and opportunities presented by the exploitation of Russia's vast natural resources. 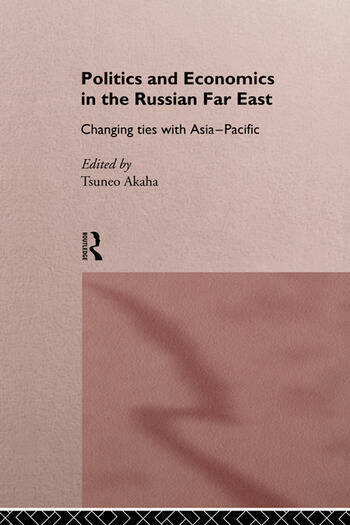 This book will be essential reading for all those wishing to obtain a deeper understanding of the complexity of the issues involved in the development of co-operative relationships between Russia and its Asia-Pacific neighbours.